Apartment living with pets isn’t always easy. Check out these tips for keeping it clean. Pets are wonderful companions and you surely love them like family. Unfortunately, cats and dogs don’t always have quite the hygiene routine that people do, and that can be a problem for your apartment. 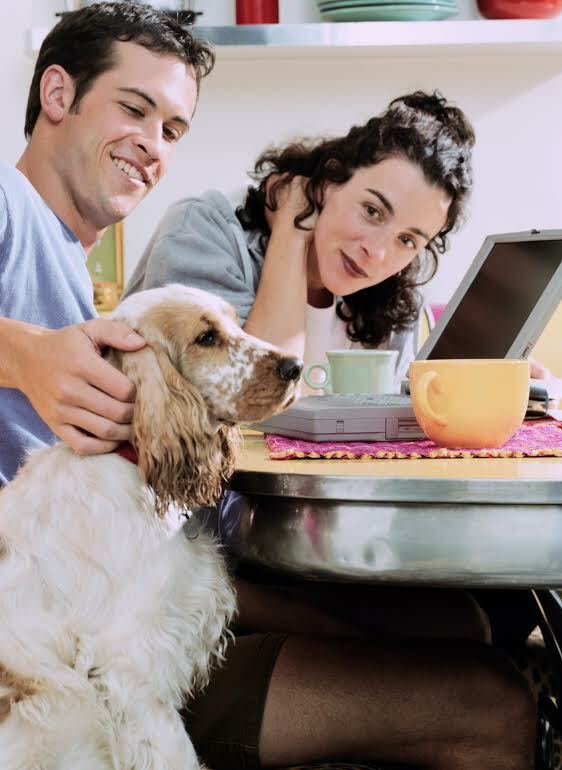 Animals and apartment living can go together quite well, but you’ll need to take a bit of extra care to make sure your home doesn’t turn into a barn. With some simple tips and a bit of extra work, your friends won’t even notice your pets until they do something cute. The biggest issue you’ll run into when keeping your apartment clean is hair. Cats and dogs have plenty of fur, and a great deal of it will end up on your carpets, your clothing, your flooring, and any other conceivable spot. Pet hair sticks to everything, so a good vacuum will help you immensely. Take the time to choose wisely, and vacuum at least once a week. Vacuuming an apartment is a simple task, and you’ll notice the difference. You may even find that you would benefit from a steam vacuum that can remove tough stains. In between vacuuming, use a hand vacuum or a duster to keep up a decent level of hairlessness. This is a particularly useful tip for dogs. When you take your pup to the groomer or you give them a bath yourself, a ton of shedding hair will go down the drain instead of onto your carpet. Some groomers even have special treatments that help alleviate shedding very successfully. In between baths, keep up on giving your dog a good brushing outdoors, and brush their teeth to help eliminate unpleasant smells. One of the most potent smells associated with pets is the smell of kitty litter. For many people, the odor is easy to get used to, but it’ll hit any guests in the nose as soon as they walk in. The best solution is to keep up on keeping it clean, and use quality litter. Purchase a litter box that has a lid on it to contain the smell, and put the box in a hidden space. Spare bathrooms and storage space make great locations for litter boxes. If you still can’t kick the smell, keep a window cracked by the litter box or invest in an air purifier. If you’re looking for the perfect luxury apartment for you and your beloved pet, don’t forget to take a look at the Harborside Village Apartments. Apartment living is easy in Harborside Village Apartments are beautiful waterfront luxury apartments located on the picturesque Gunpowder Cove! To contact Harborside Village, please give us a call at 410-679-1130 or send us an email at leasing@harborsidevillage.com. You can also request a brochure to learn more about life at Harborside Village on our website! This entry was posted on Friday, June 5th, 2015	at 7:34 pm	. Both comments and pings are currently closed.